POLICE have arrested two suspects in connection with the slaying of champion race car driver Ferdinand “Enzo” Pastor. Businessman Domingo "Sandy" de Guzman III, apprehended in Muntinlupa City last Tuesday, has been tagged as the alleged mastermind behind the ambush-slay of the 32-year old Pastor. Two handguns were said to have been found on De Guzman, supposedly the managing partner of Unique Autowerkes Automobile Design, a custom car shop in Muntinlupa. Quezon City police chief P/Superintendent Richard Albano said they got a big break in the case after they arrested PO2 Edgar Angel on drug charges during a buy-bust operation in Libis, Quezon City last Saturday. An informant tipped police that Angel, a Pasay City cop, was the assassin who gunned down Pastor. Subsequent interrogation in Camp Karingal revealed that Angel was allegedly paid P100,000 by de Guzman to liquidate the race car driver. No motive has been established on the killing. 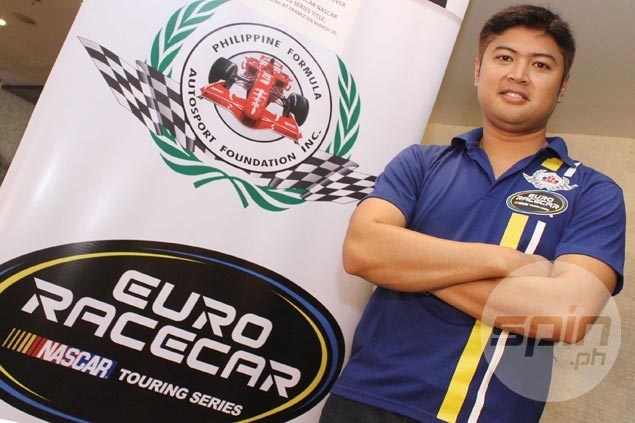 It was almost midnight of June 12 when Pastor and assistant Paolo Salazar, onboard an Elf truck loaded with an Asian V8 stock car en route to the Clark Speedway in Pampanga for the final leg of the Asian V-8 Championship, were accosted by two motorcycle-riding men at the corner of Visayas Avenue and Congressional Avenue. Salazar said they stopped for the red light when a masked man approached from the driver’s side of the truck. Pastor was able to order his assistant to take cover before the man fired several shots from close range, hitting the race car driver on the head, neck and arms. Salazar sustained a grazing wound in the incident. The suspects fled afterwards. President Benigno Aquino III even mentioned Pastor’s murder during his State of the Nation Address, assuring that the police were working “vigorously” to pursue his killers. Davao City mayor Rodrigo Duterte has offered a P1 million bounty last July for the persons behind the slaying of one of Philippine motorsports' brightest stars. Radio also reported tha Enzo's father, Tom Pastor, would be filing criminal charges against both suspects.